Question: What’s the most dangerous condition a writer can have? Never heard of it? Lucky you. It’s a horrible condition which saps the joy from your life, destroys your confidence, and leaves you feeling like a total failure, even if you’ve got plenty to celebrate and be proud of. When I hear exciting news from other writers, I feel genuine joy for them – especially if they’re friends of mine. It’s also inspirational to realise what’s possible, and what I can aim for – especially if they’re indie authors like me. But then the trouble starts, because that’s when I start getting annoyed with myself for not achieving more. I forget everything I’ve accomplished personally, and that critical inner voice just nags away at me, reminding me of all the things I haven’t done. And, trust me, that’s a depressing feeling. I know for a fact that I’m not alone in this. In fact, it seems to be a common complaint suffered by many writers. So, what’s the antidote? Deep down, I know there’s just one cure: I have to stop comparing myself to other writers and focus only on my own career path. The obvious truth is, if you’re going to compare yourself to anyone, compare yourself to you at the beginning of your writing journey. Look where you started and see where you are now. Have you moved forward in any way? Then you’re doing just fine. I think, sometimes, it’s all too easy to forget that. I used to have a blog called The Moongazing Hare, and when I set up this site I copied and pasted most of my old blog posts onto this one (minus the comments unfortunately, but that’s another story). Anyway, I was browsing through some of those posts the other day – some of which date back FIVE years, can you believe? – and the subject I was writing about back then was whether or not self-publishing was a valid career option. This was over a year before my first book was published, and when I hadn’t really got much of a grasp of what submitting to publishers involved, nor what an indie career would entail. I’ve been reading these old posts with amusement and – I suppose – a little pride, too. I started writing There Must Be an Angel with no clue about the professional writing world. I wasn’t even convinced I was capable of finishing the book! And I had such a lot to learn about writing a novel that it took me two-and-a-half years to complete it – much longer if you count thinking time before I even began the first draft. To be honest, I think the finished product was a different novel to the one I started. I changed so much about it that few things from the first draft ever made it to the last. Five years on from this post and I’m working on my fourteenth novel. I’ve indie published them all and thoroughly enjoyed doing so. I’ve sold large print rights for five books and audio rights for two – the first of which, Resisting Mr Rochester is available now right here. I’ve had a short story and two pocket novels published by The People’s Friend. I’ve had a short story published in a charity anthology. 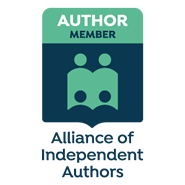 I’m a member of the Romantic Novelists’ Association and the Alliance of Independent Authors. I have lots to learn and I’m still at the beginning of my writing career, but when I read those posts from five years ago, I realised how much has changed in that time. Another of the posts was titled ‘When is a writer not a writer?‘ as I wondered if I would ever feel I had the right to call myself that. At the time, I was toying with the idea of setting up an author page on Facebook but wasn’t sure I dared do it, as I hadn’t made any money from my writing, so did my amateur scribbles really make me a writer? I now not only have an author page but, as you can see, this website is called Sharon Booth, Writer. A clear sign of progression! Seriously, the point of looking back at these posts and sharing the links here is to remind myself that, however much I sometimes feel as if I’ve not come far enough, and frequently wallow in self-doubt, a LOT has changed in five years. Progression and success can be measured in other ways. It’s not all about how many books I have published, or how many Amazon bestseller flags they’ve earned. One clear and important achievement for me was that I’ve made huge steps forward with my social anxiety. I’ve pushed myself to leave the house, and have attended several events where I’ve made new friends; I’m part of a fantastic group of supportive writers, The Write Romantics, and I’m one half of a blogging partnership with my friend Jessica Redland, The Yorkshire Rose Writers. When I wrote this post in 2013, I would never have believed I would one day be able to leave my day job and work full time as a writer. Yet, ten months ago, that’s exactly what happened. What you (and I) have to learn is to notice the little things; it’s not just publishing deals, bestseller flags, or seeing your book on the shelves of Waterstones that matter (although these are all wonderful things and well worth celebrating if they ever happen to you). Not everyone even wants those things. Some people are quite content to just write, and all the other stuff that goes with it is irrelevant. That’s the thing. We all measure success differently, and we all want different things from our careers. That’s why we should all be proud of every single step we take. Completing a first draft, whether it’s of Book One or Book Ninety-One; letting someone else read your work for the first time; plucking up the courage to attend your first writing conference; getting an email from someone who has read your book and loved it – these are just some of the thousand and one things that demonstrate how you’re progressing, however slowly. Not everyone wants to take the fast lane. Some of us prefer the scenic route! Comparisonitis can hurt if you let it. So don’t give in to it! The antidote is simple. Focus on your own path and, now and then, take a look back at where you were when you started and then see where you are now. No one else’s journey matters. Yours does. Five years from now, I want to look back at this point in time and be proud of how far I’ve come since 2019. I won’t be looking at other authors’ timelines, will I? I’ll be checking in on my own progress, because that’s what matters to me. As long as I keep moving forward, however slowly, I can be content and feel proud of myself. In the end, that’s all I really need. Tiny Steps ~ Thousands of Them. A great post for January, Sharon. Thank you! Thanks Sharon. Best of luck to you and Jessica with your new venture – Yorkshire Rose Writers. Thanks Sharon, this is a timely post for me. I shall make it a New Year’s Resolution not to let my insides tie themselves in knots over other’s achievements and progress. As you so rightly say, moving forward is an achievement in itself. So today I shall forget my bad back and finish revising a chapter in my WIP. An achievement in itself. It’s very hard to remember sometimes, isn’t it? We do get a bit transfixed by what’s going on with other people. I hope your revisions went well today. Very sorry about your bad back. It’s so painful and affects so much of your life, as I well know. Thanks so much for taking the time to read the post and to leave a comment! Thanks, Sharon. A very timely piece for me. I shall try and concentrate on my writing and my progress and not worry about other people’s success. I know I can write so must just get on with WIP! So this afternoon I shall finish revising a chapter and fins my own way through the woods. That’s a super-impressive result! Ha to them!